This illustrated guide to the architecture of Oberlin, Ohio, mixes the remarkable social history of college and town with architectural commentary about one hundred thirty-two buildings built between 1837 and 1977. The result is a unique record of the ways in which the people of one Midwestern college town organized and housed their lives over the past one hundred fifty years, from the layout of the village square in 1833 to distinguished samples from the work of such twentieth-century architects as Cass Gilbert, Frank Lloyd Wright, Wallace Harrison, Minoru Yamasaki, Hugh Stubbins and Robert Venturi. The first half of the 20th century was a period of great change along the historic Ohio River corridor. It was then that the Ohio became the most heavily engineered river in the world, facilitating its use as an artery of commerce. It was also a period of great change in transportation as different means of travel appeared along the margins of this storied waterway. And it was the era of the picture postcard, in which postcard publishing companies chose views for the public to buy and share with family and friends via the United States Postal Service. The people who lived and worked on and alongside the Ohio & Erie Canal had a vocabulary all their own. Now listed for the first time in one source are the terms they used to describe the boats, crews, and canals. 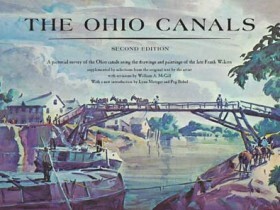 Newspaper and magazine articles about the construction and operation of Ohio’s canal system reveal a terminology filled with conflicting definitions. Engineers, crew members, and citizens each had their own jargons. To clear up the confusion, Terry K. Woods provides a dictionary of primary terms selected from those most frequently used in the official reports of the Ohio Canal Commissioners and the Board of Public Works. He also includes secondary terms taken from his interviews with ex-boatmen in the late 1960s and early 1970s and from his more than 25 years of research on the canals. The Bicentennial Edition of Ohio and Its People is a revised and updated volume of this bestselling work and includes a new final chapter examining Ohio through the end of the twentieth century. Author George W. Knepper presents contemporary information on the national and state political arenas, the economy as it affects Ohio, the economic and environmental revival of Cleveland, and an updated bibliography. 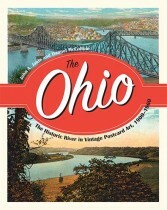 Ohio and Its People remains a wonderful classroom text and history of Ohio. 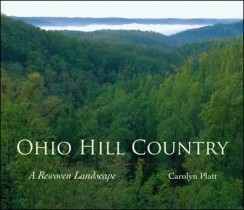 In Ohio Hill Country, author Carolyn Platt describes how plant and animal life evolved to fill the many niches and microclimates afforded by the area’s weathered sandstones and shales and the ravines cut by area streams. She introduces readers to places such as the Hocking Hills and the Edge of Appalachia in Adams County, which are still home to an exotic and diverse group of flora and fauna.